Because many inflammatory arthropathies primarily involve the synovial tissue, there has been increased interest in investigations of the pathologic changes in synovial biopsy specimens during the last 2 decades (Reviewed in [1de Groot J, Zuurmond AM, Tak PP. Biological markers In: Firestein GS, Budd RC, Harris ED, McInnes IB, Ruddy S, Sergent JS, Eds. Kelley’s Textbook of Rheumatology. 9th. Philadelphia: W.B. Saunders Co 2012. (in press)]). 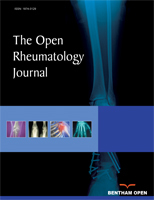 This development has been stimulated by technical advances such as the advent of new methods to obtain synovial tissue specimens from actively inflamed joints and clinically quiescent joints under local anesthesia, such as mini-arthroscopy and ultrasound-guided synovial biopsy, and because of the development of new laboratory techniques used to analyse the synovial tissue samples. Systematic analysis of synovial tissue has lead to the identification of key therapeutic targets, such as TNF and IL-6 as well as many others that are currently being tested.